NASA has finished the design of the Space Launch System, a huge rocket to boost astronaut crews farther from Earth than ever before, and formally decided the launcher’s cryogenic core stage will be burnt orange, the same color as the space shuttle’s external fuel tank, officials announced Thursday. The milestone clears the way for engineers to begin full-scale fabrication of the Space Launch System, although many components are already being built, NASA said in a statement. 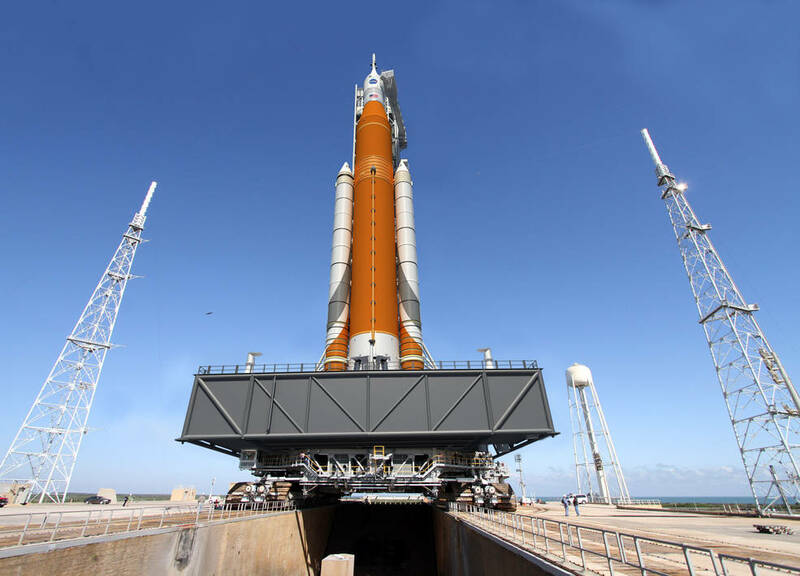 NASA officials decided to keep the 20-story core stage of the Space Launch System orange, the natural color of the rocket’s foam insulation. Earlier artist’s concepts showed the rocket painted white, but NASA officials said earlier this year the critical design review would likely officially approve a plan to keep the foam bare. 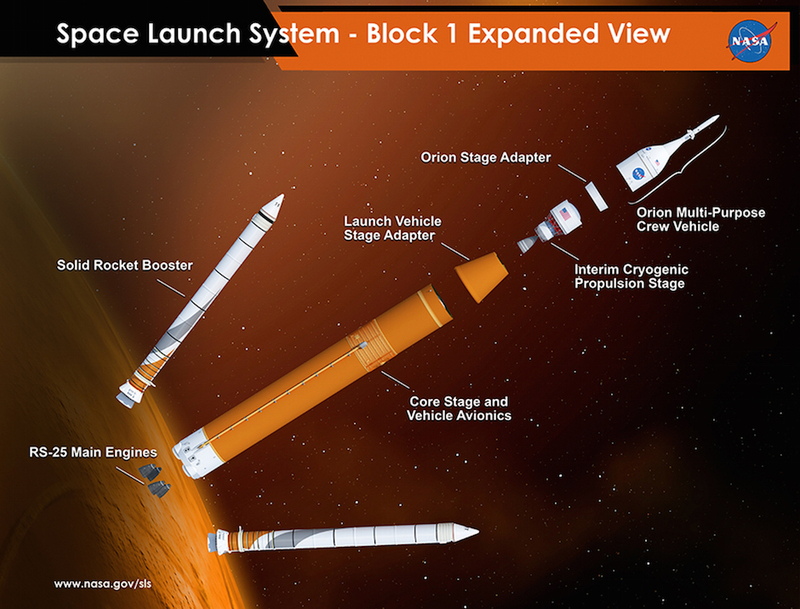 A new illustration of the heavy-lifter released Thursday shows gray and orange stripes on the solid rocket boosters. A NASA official said the agency is still deciding whether to add the paint job on the finished product for the first SLS test flight in 2018. 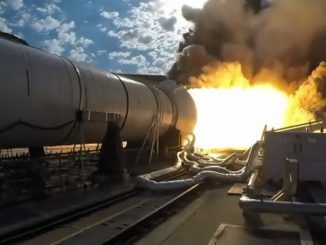 The initial version of the SLS will produce 8.4 million pounds of thrust from its two solid rocket boosters and four hydrogen-fueled RS-25 engines, making it the most powerful U.S.-made rocket in history. It will stand 321 feet tall and lift at least 77 tons — or 70 metric tons — into low Earth orbit. The critical design review was completed in July, NASA said, along with a separate appraisal by a standing review board made up of NASA and industry experts outside of the SLS program. The final results were briefed to NASA leadership in October, the agency said. 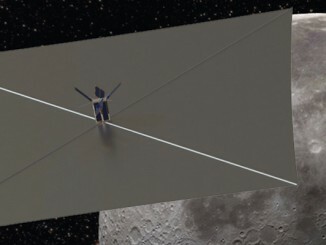 “Throughout the course of 11 weeks, 13 teams — made up of senior engineers and aerospace experts across the agency and industry — reviewed more than 1,000 SLS documents and more than 150 GB of data as part of the comprehensive assessment process at NASA’s Marshall Space Flight Center in Huntsville, Alabama, where SLS is managed for the agency,” NASA said in a statement. The reviews confirmed the enormous rocket is holding to a schedule and budget set by NASA last year. 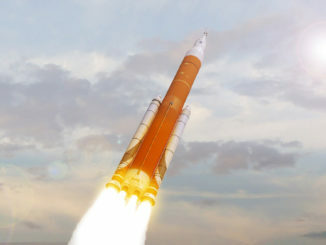 The SLS budget is projected to cost more than $7 billion from early 2014 through its first test flight, which is expected no later than November 2018. NASA plans to add a more capable upper stage to the Space Launch System in the early 2020s to carry heavier cargo into space, giving the rocket enough lift capacity to propel habitation modules to destinations near the moon. Upgraded boosters will eventually be incorporated into the rocket for human missions to Mars, NASA says. The first SLS configuration, known as the Block 1 version, will fly on an unpiloted test flight to lunar orbit with NASA’s Orion capsule in 2018. The second SLS, possibly with the bigger upper stage, is expected to fly by 2023 with astronauts on another flight to lunar orbit. Construction and testing of the rocket’s hardware and software components is underway. A critical design review for the Orion crew capsule, managed by NASA’s Johnson Space Center in Houston, is still to come. 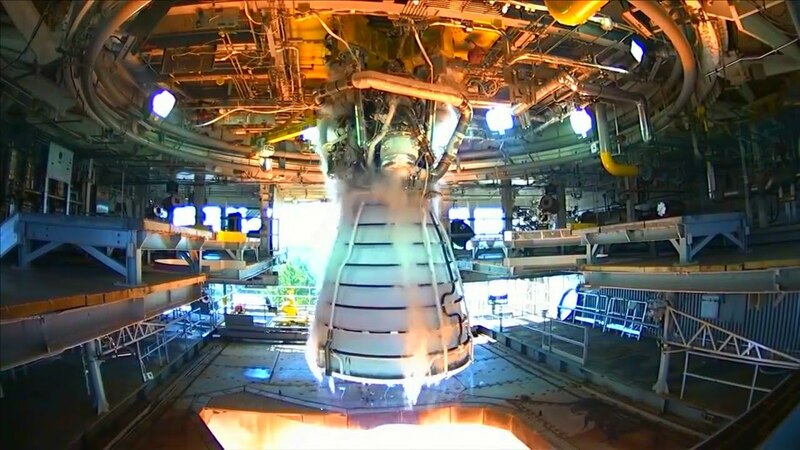 Hotfire tests of the rocket’s RS-25 engines, which NASA retained and modified after the space shuttle’s retirement, have started at the Stennis Space Center in Mississippi, and the five-segment solid rocket booster’s second qualification firing is scheduled early next year at Orbital ATK’s facility in northern Utah. 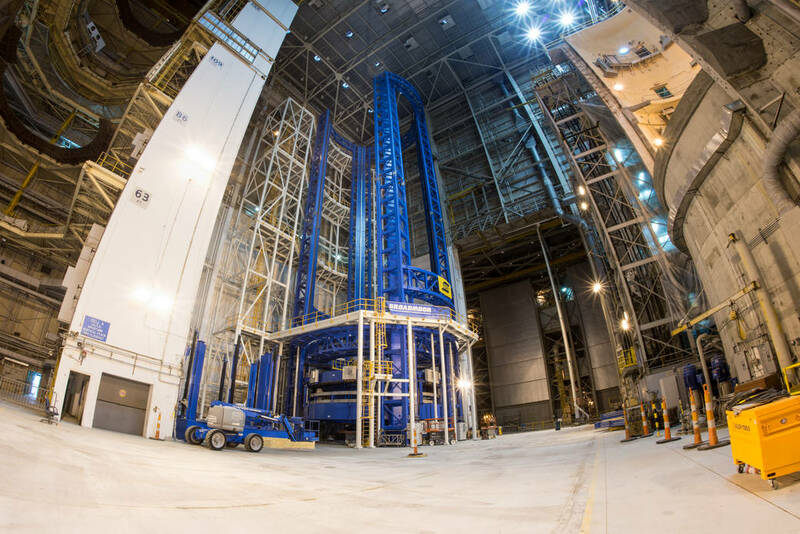 Huge sections of the Space Launch System’s 27.6-foot diameter core stage liquid hydrogen and liquid oxygen tanks have been fabricated at NASA’s Michoud Assembly Facility in New Orleans, where they await assembly inside a huge specially-designed 17-story welding tool to form the completed first stage. Engineers are correcting a misalignment in the welding device before it can start fusing the fuel tank barrel sections with forward and aft domes, a cylindrical engine compartment, a forward skirt and an intertank segment between the oxygen and hydrogen tanks. The tool has moveable platforms to add sections of the tanks atop one another. A year ago, officials discovered the device had a misaligned base plate — tilting the top of the tool more than 10 times the allowable tolerance of one-eighth of an inch — but the problem was found after the rest of the weld assembly was already put together. Engineers had to disassemble the device to fix the crooked plate, and managers say the system will be ready to resume welds by the end of the year. In a bid to minimize the long-term schedule impacts of the weld tool problem, smaller assembly tools at Michoud have continued to churn out sections of the SLS fuel tanks meant for qualification testing and the first test launch. The segments — waiting for the huge weld tool to be ready — fill a roped-off area of the cavernous Michoud plant, which was the site of space shuttle external tank production and Saturn 5 rocket fabrication. Once the core stage is put together, technicians will install the rocket’s four RS-25 engines and ship the completed structure to nearby Stennis Space Center in southern Mississippi for hotfire tests. Then the core stage, solid rocket booster segments and a second stage derived from United Launch Alliance’s Delta 4 rocket will be shipped to NASA’s Kennedy Space Center in Florida for final launch preparations.